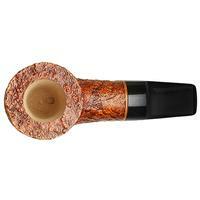 Radice's Aero series presents briars of considerably stout proportions imbued with condensation chambers. 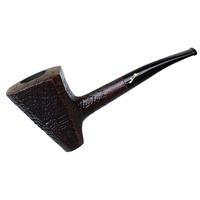 It makes for a reverse Calabash that has the added benefit of being a compact nosewarmer as well. 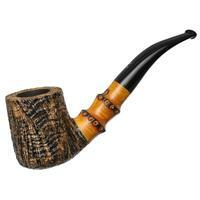 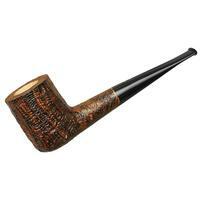 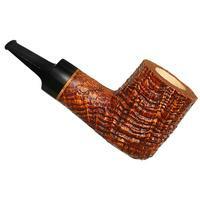 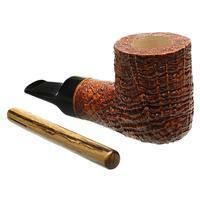 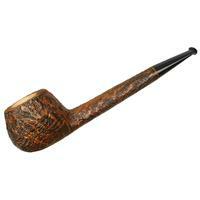 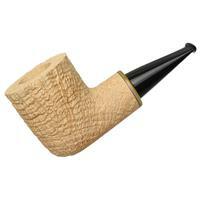 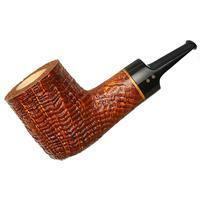 Offered here is a muscular Billiard that, though short of length, doesn't sacrifice when it comes to chamber depth. 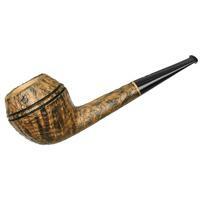 It's dressed here in one of the best ring grain-adorned iterations of the Silk Cut sandblast I've ever seen, making for loads of rippling texture in hand. 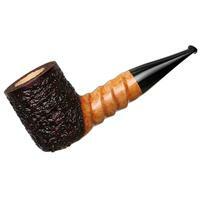 Adding to all that, this piece also comes replete with its own tamper.